In the early 1900s, New York City needed a solution to its crowded streets. 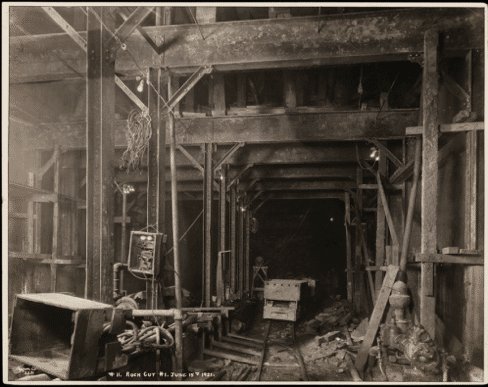 Construction on the subway began in the early 1900s, with the first line opening in October of 1904 and passengers being charged only a nickel to ride. Operated by Interborough Rapid Transit Company (IRT), the first subway traveled just 9.1 miles through 28 stations. Today, the New York City subway includes more than 26 lines with more than 468 stations. Some 4.5 million passengers ride these underground trains each day; it’s the only rapid transit system in the world that runs 24 hours a day, seven days a week.